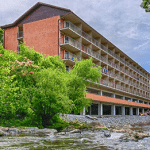 With every room featuring a balcony overlooking the Little Pigeon River, Creekstone Inn provides tranquility and affordability. 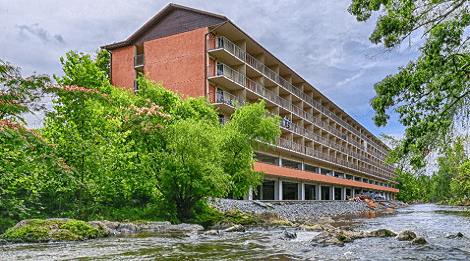 This boutique inn takes full advantage of its views with balconies overlooking the pristine mountain river. Guests enjoy rooms that sleep 4 as well as king suites with Jacuzzi’s and fireplaces available. A convenient express continental breakfast is complimentary and consists of donuts, oatmeal, cereal, coffee and juice. Each room is appointed with tasteful mountain décor, an in-room safe, refrigerator, microwave and coffeemaker. All rooms come with a guarantee of hospitality.